New packaging techniques for meat and poultry take consumer desires -- and fears -- seriously. Time-pressed consumers, smaller households, the national obsession with health and wellness and food safety concerns are encouraging new product formats and packaging styles for meat and poultry. The conventional film-wrapped foam tray remains one of many options -- but gaining ground quickly are individually wrapped portions, tear-apart flexible packs that let the consumer cook a little or a lot, tray/pouch combinations and stand-up pouches. Further, fresh meat is far from the only game in town. Fully cooked products are a staple in a growing number of homes as families look for something easy to prepare. And the packaging must reinvent itself just as quickly as the products. Resealable (and reusable) plastic containers for lunch meat are proliferating (top). Within the container and before opening, the deli meat is packaged in a Cryovac package (bottom). To provide parents with a quick and snack-like product that is not only convenient but also healthy and tasty, Pilgrim's Pride Corp. (www.pilgrimspride.com), Pittsburg, Texas, has extended its EatWellStayHealthy line of chicken products to include EatWellStayHealthy Kids frozen products. EatWellStayHealthy Kids comes in two fully cooked varieties: breaded chicken breast nuggets and breaded popcorn chicken. Launched in January, the product is now in national distribution. The package is a reverse printed stand-up pouch with resealable zipper. Pilgrim's Pride top-loads the pre-formed pouches, which have a filled net weight of 24 oz. In addition to providing convenient freezer storage and easy preparation, the product offers harried parents a nutritious alternative to snacks or fast food. "We've had a lot of really positive comments, like, 'Thanks for giving me the option of a convenience product that is actually healthy for my kids,'" says Dan Emery, vice president of marketing. The company reports the EatWellStayHealthy Kids packaging is the first to feature the USDA-regulated word "healthy" on the packaging. The package bears the American Heart Assn. "heart check-mark" seal of approval and the Child Nutrition Labeling icon, as well. Child Nutrition Labeling is a voluntary federal labeling program for the USDA's Child Nutrition Programs. In the refrigerated, fully cooked chicken category, Tyson Foods Inc. (www.tyson.com), Springdale, Ark., this spring relaunched its popular Tyson Oven Roasted Chicken product line. According to the company, the revamped products offer more convenient packaging, improved food safety, extended shelf-life and improved merchandising. The preservative-free products are packaged in a transparent, vacuum-sealed pouch within a rigid tray, and both the inner and outer packages provide easy-open features. Convenience is driving the development of more fully cooked meat and poultry items. "There were three primary considerations from the consumer standpoint that drove every decision we made around the relaunch: taste, convenience and health," says Karren Peters, director of marketing at Tyson. In addition to protecting the products' flavor profile, the new packaging incorporates an Easy Peel Tab on the outer film for easy opening. To use the product, the consumer opens the outer package, removes the pouch and vents the easy-open pouch prior to cooking in a microwave or conventional oven. Text on the package emphasizes the healthiness of the products, including their no-preservatives status. "We heard from consumers this was an important attribute for them, so we called that out on the package," Peters says. In addition, a "Heat 'N Eat Entrees" graphic emphasizes the products' easy preparation. The relaunched products are pasteurized using a proprietary post-packaging technology that increases food safety. According to Tyson, the pasteurization increases product shelf life from 14 days to 45 days. That's happy news for retailers; the longer shelf life promises to reduce shrink and markdowns, thereby improving profitability. In addition, the new vertical packaging format lets retailers present 25 to 35 percent more package facings in the refrigerated case. Others in the industry are expanding the definition of convenient packaging to include portion sizes geared to small households. "Due to changing demographics, consumers are demanding smaller portion sizes," says Mark Franzreb, director of new business development-North America for Sealed Air's Cryovac brand (www.cryovac.com), Duncan, S.C.
Franzreb adds, "If you're an empty nester or a single parent or you just have a smaller family in general, you may not want to purchase the larger packages. You may want to purchase smaller portions and then have the option of either using those or freezing them." Wegmans Food Markets (www.wegmans.com), Rochester, N.Y., has expanded on the success of its proprietary Keeps Fresh vacuum packaging for meat by offering a club pack of fresh strip steaks in Keeps Fresh packaging. Each steak is individually sealed within the vacuum pack, so consumers can cut off a single portion if that's all they want to cook. For greater convenience, Wegmans has modified the structural design of the Keeps Fresh packaging, adding a pull tab to make it easier to open. The strip steaks will be the first Wegmans meat product in the easier-to-open Keeps Fresh structure; others will follow during the summer. Just before its merger with Pilgrim's Pride, Gold Kist Inc. developed a Fridge-to-Freezer Pak for chicken for Costco stores. Designed for smaller households, the package segregates fresh chicken parts into individual vacuum-sealed pockets. Pilgrim's Pride is targeting the smaller household with its Fridge-to-Freezer Pak for chicken. Introduced last year in Costco stores, the package segregates fresh chicken parts in individual vacuum-sealed pockets that can be separated, then frozen or refrigerated. The package was developed by Gold Kist Inc., which has merged with Pilgrim's Pride. Also in the Pilgrim's Pride line-up are premium-priced, single-serving packages of fresh chicken. Each package contains either a single chicken breast or three chicken tenders. The primary package is a form-fill-seal slider bag, and the outer package is created using vacuum-cavity equipment from Multivac (www.multivac.com), Kansas City, Mo. The products are sold refrigerated. Health and wellness are increasingly important drivers when it comes to meat packaging and products. Increased sales of natural and organic meats reflect the trend. Cryovac-sponsored research, conducted by the Washington-based American Meat Institute (AMI) (www.meatami.com) and Arlington, Va.-based Food Marketing Institute (FMI) (www.fmi.org), shows demand for natural and organic meat is on the upswing. Of shoppers surveyed, 21.2 percent said they had purchased natural or organic meat within the past three months, up from 17.4 percent in 2006. Additionally, the survey revealed that chicken is the most often purchased natural or organic meat, with 73.2 percent of respondents saying they had bought it in the past three months. Next most popular was natural or organic beef, with 50.7 percent saying they'd purchased it, followed by ground meat at 31 percent. The number of natural and organic meat brands is growing quickly, as well -- so much so that consumers are sometimes confused by what they see in the meat case. "It's up to the organic marketer to educate consumers ... and create a brand that speaks beyond organic. They need to create a compelling brand with a strong emotional connection," says Dan Mishkind, principal at Pure Design Co. (www.puredesignco.com), Leverett, Mass. Pure designs packaging for natural/organic product marketers such as Dakota Beef LLC. A University of California-Santa Cruz study of consumer attitudes about food revealed the package is the primary place to create that brand story: "81 percent of respondents said product labels were the most desirable choice for obtaining more information about food, followed by brochures or retail displays," Mishkind says. "So obviously the package has to work hard." Wise Kosher Natural Poultry (www.wiseorganicpastures.com), Brooklyn, N.Y, put its packaging to work when it rebranded its products and redesigned its packaging. Wise packages now carry a double-certified kosher and organic seal as well as a new brand name, Wise Organic Pastures. Pure Design implemented the rebranding/redesign. Wise's chicken packaging incorporates the emotional brand story of the company's founder, homemaker Rachel Wiesenfeld, who challenged herself to bring a healthier chicken to the kosher community. Since the rebranding/repackaging, the product line has experienced 40 percent growth. Along with health and wellness, food safety is gaining mindshare among consumers. With foodborne-illness outbreaks frequently punctuating the news, it's hard not to think about the safety of the food we eat at home and away. In a four-week period this spring, three meat packers based in Michigan, Minnesota and California recalled a total of more than 354,000 lbs. of beef. Though unrelated, all three voluntary recalls sprang from fears of possible E. coli contamination. The recalls came on the heels of foodborne-illness outbreaks related to spinach, lettuce, peanut butter and pet food. 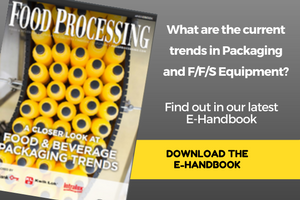 Not surprisingly, meat packers and processors are on the lookout for packaging and processing techniques that improve food safety. Hormel Foods Corp. (www.hormel.com), Austin, Minn., is addressing safety plus health and wellness and even improved texture in one swoop with its TrueTaste high-pressure processing (HPP) technique. Although Hormel would not confirm it, the vendor of this process reportedly is Avure Technologies Inc., Kent, Wash.
After using HPP initially for Hormel Bread Ready sliced meats, which are sold to foodservice operators, the company chose HPP for its Natural Choice retail products when they launched last year. Consumer response to Hormel Natural Choice was so positive the company this year added several new products to the line, including sliced roast beef, carved chicken breast and Canadian bacon. Hormel's USDA-approved HPP technology is a post-packaging, water-based pasteurization process. The vacuum-packed products are subjected to 87,000 lbs. per square inch of water pressure that inactivates pathogens such as Listeria monocytogenes without harming the product's taste, texture or nutritional value. Listeria, which can grow even under refrigeration, has been linked to many illness outbreaks caused by deli meats and cold cuts. In 2002, 12 people died and more than 50 others were sickened in a listeriosis outbreak linked to deli turkey. The HPP process eliminates the need for shelf-life extending preservatives, a key attribute for the Hormel Natural Choice brand. "What makes the products unique is the HPP process -- being able to use our TrueTaste technology and deliver that all-natural, no-preservatives, great taste that consumers want," says Ryan Vossler, product manager for Hormel Natural Choice. HPP pasteurization delivers an operational benefit for retailers and foodservice operators, as well, in the form of shelf life. Declining to quantify the maximum shelf life of Natural Choice products, Vossler says they deliver "much longer shelf life" than competitive items. The Hormel Foodservice Div. (www.hormelfoodservice.com) web site states HPP-treated Hormel Bread Ready meats offer refrigerated shelf life of 120 days. Hormel was the first national manufacturer in the sliced meat category to commercialize HPP, but others are following suit. In the all-natural meat category, Wellshire Farms (www.wellshirefarms.com), Swedesboro, N.J., has announced it plans to use HPP for its line of 100% All Natural cold cuts, ham steaks and Canadian bacon. The company reportedly is moving to HPP for reasons of product quality, safety and security, and because the technique does not use chemicals or irradiation. Another approach to assuring food safety and safeguarding meat's quality is active barrier packaging, such as oxygen scavenging films. This type of material removes residual oxygen from the inside of a package over the course of distribution. Benefits include "reduced rancidity and color preservation in color-sensitive products like processed ham or rare roast beef," says Cryovac's Franzreb. "In general, you can maintain the freshness of the product throughout the entire shelf life of the product." Plus, oxygen scavenging films retard microbial growth, which provides freshness and safety advantages. Foster Farms (www.fosterfarms.com), Livingston, Calif., uses an oxygen scavenging Cryovac OS Film to package premium turkey products. The turkey is packaged in a flexible pouch within a rigid plastic tub. The inner pouch is constructed using a lidding film that incorporates the oxygen scavenging material. By removing residual oxygen from the pouch, the package delivers a refrigerated shelf life of 55 days.